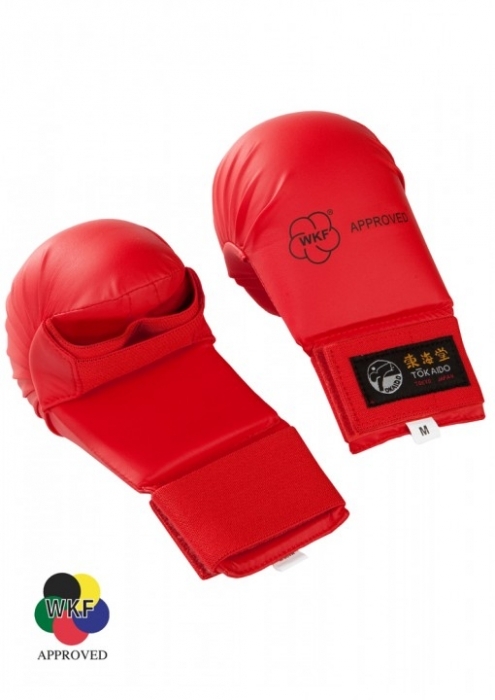 Obligatory knuckle/hand protections for karate competitions which go by the WKF rules. 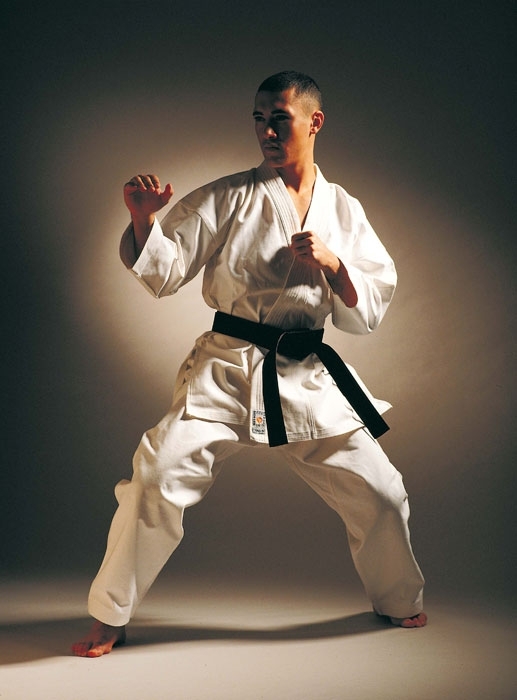 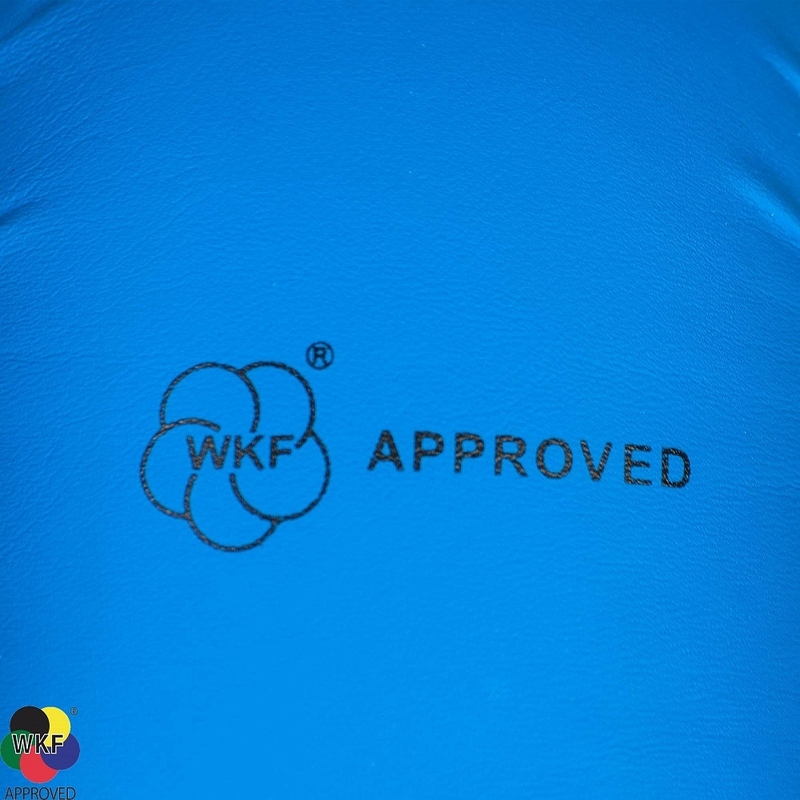 Approved according to WKF's (World Karate Federation) standard in regard to function and shock absorption. 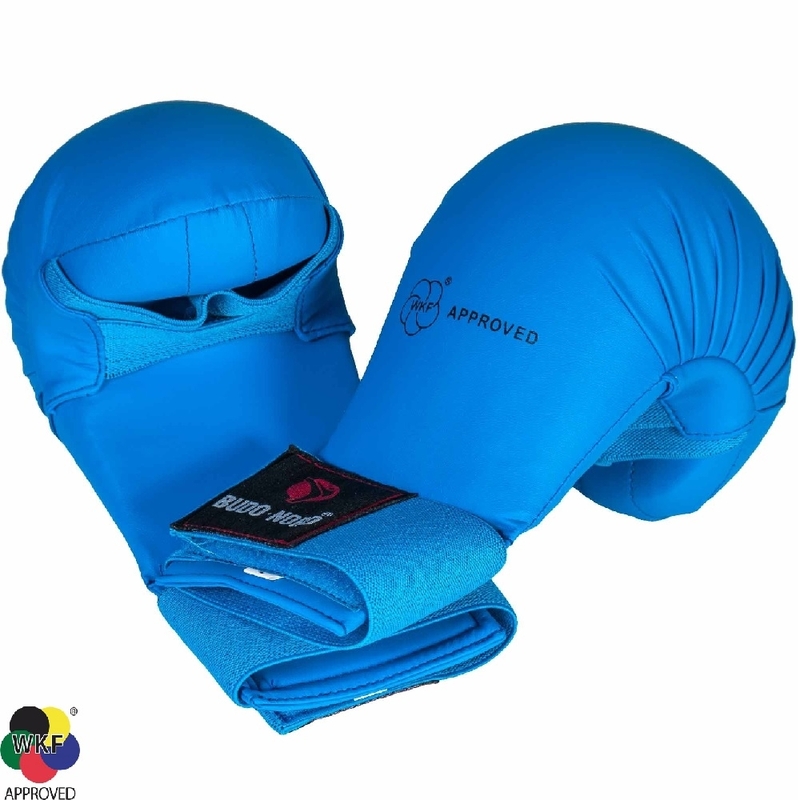 Sturdy pad on the front with a high level of shock absorption . 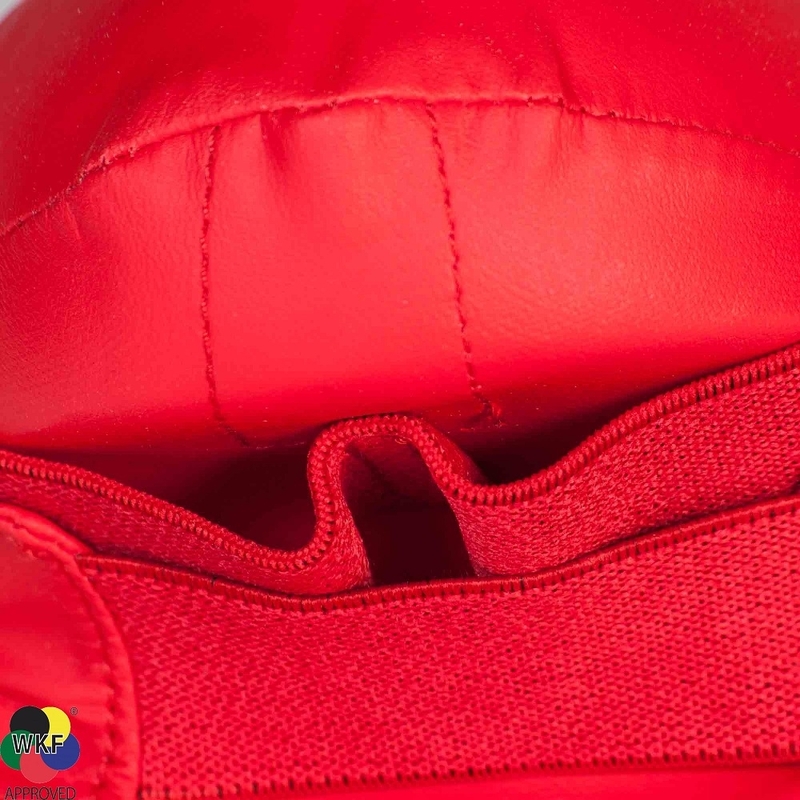 Sturdy elastic straps keeps your fingers and metacarpus together, this is important in order to not injure the hand. 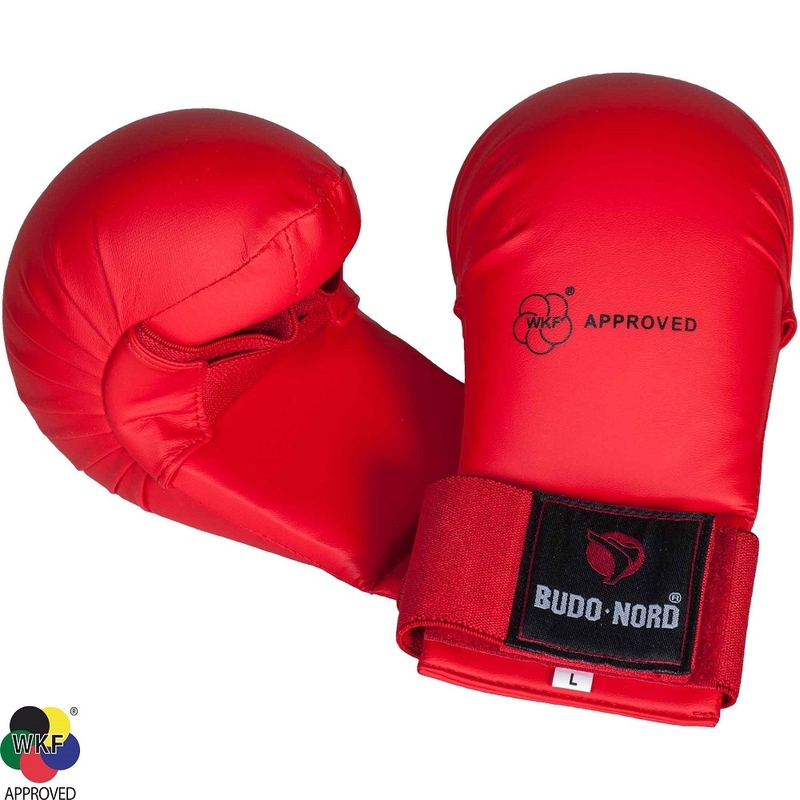 The guards are easy to take on and off and is fastened on the wrist via elastic bands and velcro straps. 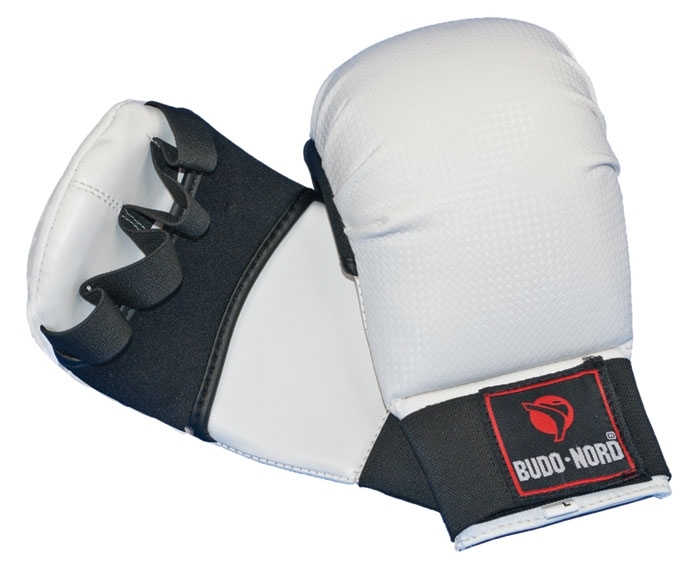 Slim, light weight model (102 grams in size M).